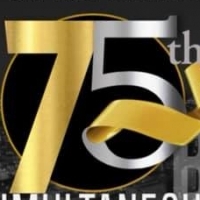 Baptist Ministers Association 75th Anniversary Celebration Concert. Tickets will be available at the door. 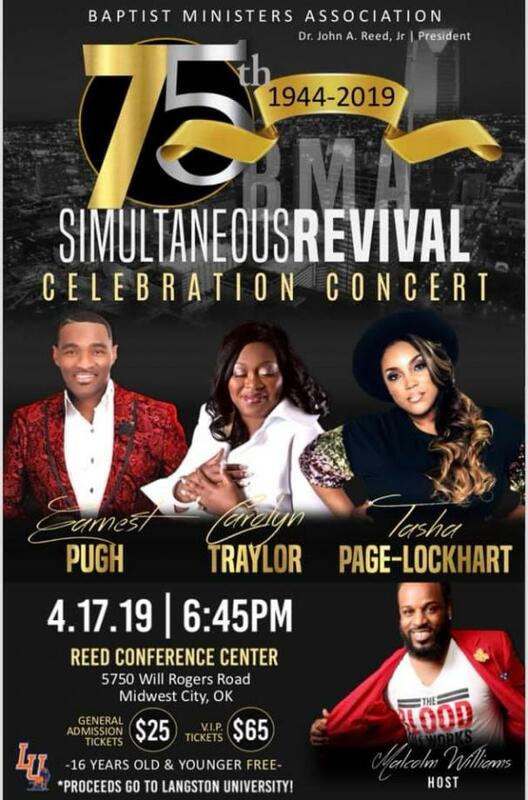 Guest artists: Earnest Pugh; Tasha Page-Lockhart; Carolyn Traylor. The BMA will also honor local musicians on this night! Proceeds from this concert will go to support Langston University. Name: John A. Reed, Jr.